MP3 is the most common and popular format among various audio formats which can be recognized by nearly all kinds of media players and devices. Therefore, if you have meet audio files which can’t be compatible with other devices, converting audio to MP3 can solve most of your issues! Due to the limited compatibility of AC3 files, converting .ac3 to .mp3 is a better alternative for smoothly playing your AC3 files on various devices! Now, closely follow the below methods to learn how to convert .ac3 to .mp3. Free HD Video Converter Factory is a reliable free AC3 MP3 converter which enables to quickly convert AC3 file to MP3 and convert various audio formats to FLAC, OGG, M4A, etc. as well. It also supports to do simple editing like trim, cut audio file and so on. 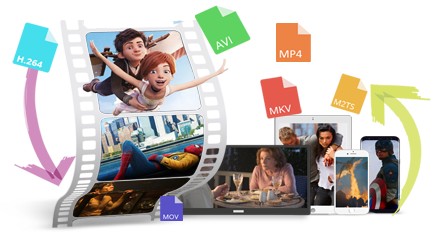 If you want to find a reliable program to convert AC3 audio to MP3, here recommends a practical and functional program - Free HD Video Converter Factory to you. Apart from converting .ac3 to .mp3, it also enables to convert AC3 to FLAC, extract audio from video as well as many other functions! Download it to start converting AC3 file to MP3. 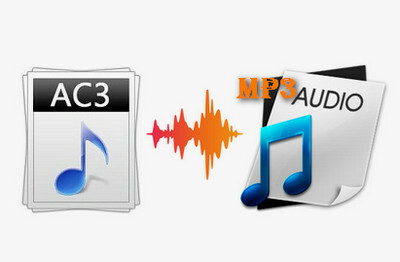 Run the AC3 to MP3 converter, click “Add Files” option to import your AC3 audios to the program. Or you can find your AC3 files, and then directly drag and drop them to the program’s window from your local hard drive. Step2: Choose “MP3” as the Designated Format under “Audio” tab. There is an “Output Format” option on the right side of the program, clicking it to jump to the “Format Selection” interface. To choose “MP3” under the “Audio” tab as the final output format. 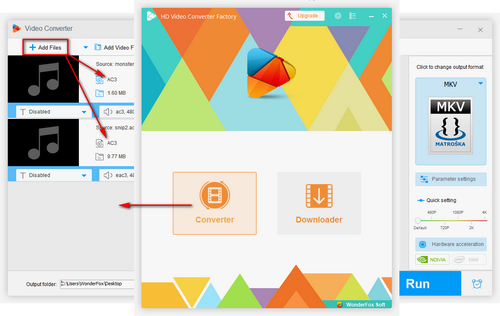 Tips: Free HD Video Converter Factory also supports to convert URL to MP3, and convert various audio formats. Such as converting FLAC to MP3, WAV to MP3 and so on. Choose the output destination of your file at the bottom of the program, then click “Run” to start converting AC3 file to MP3. Tips: Before start converting the AC3 file, you can simply trim and cut audio files, or you can do more settings of sample rate, bitrate, etc. by clicking “Settings” option at the lower-right corner of the program. 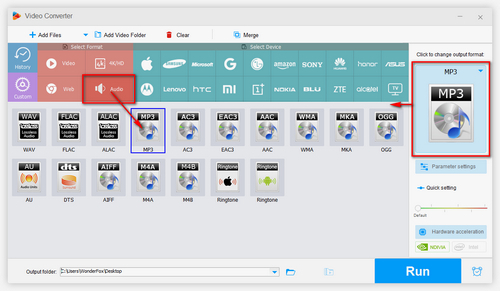 Upgrading the free version to HD Video Converter Factory Pro enables to batch convert videos & audios to over 300 formats and devices with GPU acceleration! 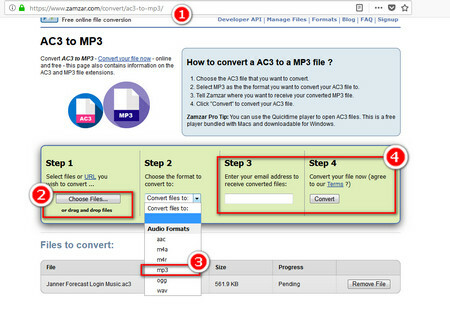 We have already introduced 5 online converters before, at here, I will take https://www.zamzar.com/convert/ac3-to-mp3/ to give you a detail elaboration of converting AC3 to MP3 online. Step2: Import your AC3 files to this online site through click “Choose Files…” option or directly drag and drop your AC3 audio to the online conversion site. Step3: Set the output format as “MP3” under the drop-down list of “Convert files to” box. Step4: Finally enter your Email and click “Convert” option to start converting AC3 file to MP3. You are also able to convert AC3 to M4A, AAC, etc. according to your accurate needs. Online conversion usually be influenced by the net connection and the file size. Therefore, if you have a large AC3 audio file or poor network connection, you may need to spend a long time on uploading and downloading the file. If you prefer a quicker way to finish the conversion work, Free HD Video Converter Factory may be a better choice! HD Video Converter Factory Pro supports to convert video and audio files to 300 + formats and devices with 30X speed up conversion. It also enables to extract audio from video, download MP3 music from YouTube, Facebook, etc.